Israel’s Prime Minister Benjamin Netanyahu unsuccessfully tried to block a Mossad briefing for US senators, which was aimed at warning the lawmakers that the new Iran sanctions bill could cause a collapse of nuclear talks, Time magazine revealed. The briefing, which took place on January 19, included six US officials traveling to Jerusalem for a meeting with Israeli intelligence agency Mossad on the new Iran sanctions bill. Mossad was to warn US lawmakers, among them Republican Senator John McCain, that new sanctions could falter nuclear talks with Tehran. However, Netanyahu scrapped the meeting from his itinerary, Time magazine reported on Saturday, citing unnamed sources close to the events. In protest, the head of the Senate Foreign Relations Committee, Tennessee Republican Bob Corker – who doesn’t favor the introduction of additional sanctions on Iran – threatened to cut short the US delegation’s trip to Jerusalem. Corker addressed Israel's ambassador to the US, Ron Dermer, asking him to intervene. 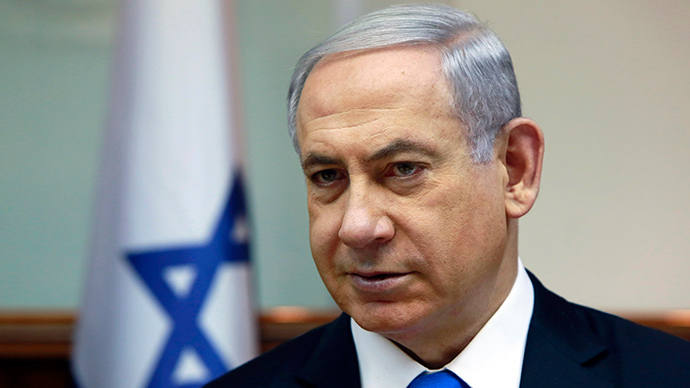 Consequently, Netanyahu conceded and allowed the briefing to take place, according to the report. The Israeli PM's spokesman declined to comment on Time's inquiry about the reason for Netanyahu's cancellation. The prime minister is a strong supporter of a much tougher stance on Iran and its nuclear program. Bloomberg View reported on January 22 that Mossad indeed warned Washington that the new sanctions bill, if approved by Congress, could lead to a deadlock in talks with Iran. Pardo “emphasized in the meeting [with US lawmakers in January] that the exceptional effectiveness of the sanctions imposed on Iran in recent years are what brought Iran to the negotiating table," the statement read. The bill, introduced on December 19 by Republican Mark Kirk and Democrat Robert Menendez, calls for the enactment of new sanctions if Iran cannot reach a consensus with the P5+1 countries in Geneva on curbing Tehran's nuclear program before the June 30 deadline. Though some US senators have been pushing to pass the Kirk-Menendez bill, there are also those who oppose it – particularly Corker, who is pushing forward his own legislation which would require a Senate vote on any deal struck between the P5+1 countries in Geneva. A softer line was voiced by US Secretary of State John Kerry, who told CBS News on Saturday that he hopes it is possible to reach an interim political deal with Iran “in the next days,” if Tehran can show that its nuclear program is intended for peaceful purposes. The deal includes Iran curbing it’s most sensitive nuclear activities for at least 10 years, in exchange for the easing of some US sanctions. "We believe very much that there's not anything that's going to change in April or May or June that suggests that at that time a decision you can't make now will be made then," Kerry said. "If it's peaceful, let's get it done. And my hope is that in the next days that will be possible," he added. Kerry and his Iranian counterpart, Mohammad Javad Zarif, are to meet in Switzerland on Sunday to discuss Iran’s nuclear program. The US secretary of state also slammed the letter written by 47 Republican senators to Iran last week as a "direct interference.” The letter, written by Arkansas Senator Tom Cotton, threatened to pull any nuclear deal reached with Iran, once Obama leaves office. Talks on Iran's nuclear program are scheduled to continue in Switzerland next week, but little is known about the nuclear deal being negotiated. According to reports, the agreement would allow Iran to develop a civilian atomic program under strict supervision, which would make it very difficult to build a nuclear weapon.